I have contemplated for some time on how to celebrate this milestone and I knew in my heart I wanted to head to Utah to visit with several of our wonderful industry partners that believed in the vision we had for SCT so many years ago. These companies invested in us when they had so many other choices and I am very grateful to them and for them This next week I will visit with American Crafts, Pink Paislee, WeR Memory Keepers, Doodlebug Design, Simple Stories, BoBunny, Echo Park, My Mind’s Eye, Fancy Pants, Stampin’ Up!, and Close to My Heart. 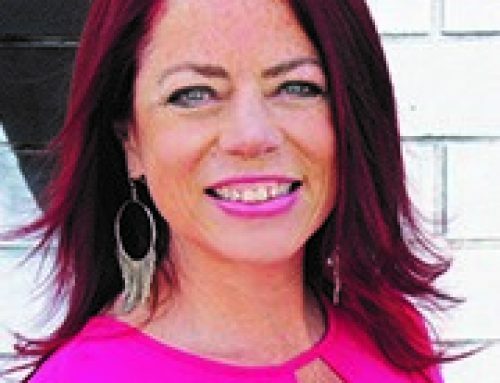 I will visit with our Editor-in-Chief Megan Hoeppener and meet many friends I’ve made through these years. What else will I do? Well, what all memory keepers do…take pictures! I want to take you on a behind the scenes tour and share with you the great people behind these companies, share some photos of what their day-to-day looks like and share some of the stories from the week. Is there something specific you might like to know? Leave it in the comments below and I’ll try to find out! Of course, I’m also going to pack a few things in my suitcase to bring back for you so if you would like the opportunity to have a little happy mail, leave a comment below too! Do so enjoy your blog. Congrats, what a wonderful milestone! Happy 10th anniversary – we need to make you some cards! Thanks for keeping us on top of the industry trends over the past decade and the wonderful blog and retreats and everything else that you bring to us. Even though my favourite LSS has closed down, i can still find out the latest and greatest through your magazine! Happy 10th Anniversary and I’m happy to say I have been a fan for 10 years too! Your trip to Utah sounds wonderful. Have Fun and post lots of Photos. Happy, happy 10th!! I live in Utah and would like to welcome you. I didn’t realize until a couple of years ago that all those wonderful companies are based in my back yard. I always go to their warehouse sales but purchase these brands every time something new comes out! I love SCT and follow closely. Looking forward to the next 10…please keep up the good work! Congratulations on 10 years! Have a great trip. Maybe you can bring back some sneak peaks of their new products! Happy 10th birthdayversary! I’m so glad you are here and I love every.single.issue. At a time when others have closed down – you are flourishing. That is testiment to your knowing the industry and being open to the needs and wants of scrappers, card makers and other crafters. I hope the next decade is as wonderful (or more!). Enjoy your trip and thank you for sharing it with us. A great 10 years and best wishes for another 10, and another 10…..
Congratulations! So glad you do what you do! Wow!! 10 years!! thats a big milestone!! Congratulations… At a time when many other craft magazines are closing, you are thriving. That is because of your hard work and dedication!! Thank you for doing this!! Congratulations! I remember (and still have ) your first issue. I often look through my copies for inspiration. I love that it is a quality magazine (printed on quality paper) with fabulous ideas for the beginner up to expert crafter. Looking forward to another 10 years of SCT! Congrats, Catherine and SCT on ten years WELL DONE! You asked….I would like to see/hear/read more about the people history of SCT, a life history of the movers and shakers that helped you become who you are now, specifically the people (and their company if they have one) – WHO came, left their mark (whether advice, design, teaching, sales, support, whatever)and left, who came in next, etc. I’ve always loved biographies! What were the people milestones in your SCT 10 year history? From your partnering companies, I’d like to know almost the same thing, but about their business history…when did they get started, what were their values and goals when they started, how did they accommodate the bumps in the industry, what have they had to change with a changing market, what lessons have they learned about this business, and finally what do they see in the not so distant future for scrapbooking? Okay, so I have asked enough to write multiple dissertations!!? Just share anything more and I’ll love it! And have a fabulous time in Utah! SO very excited for you and S&CT!! WOO!HOO! One million congrats to you. Let’s not forget that S&CT is also what it is because of you and your family – immediate and/or otherwise. Thank you for all you have done for scrapbookers worldwide. You are truly an inspiration for us all. Congratulations on your 10th anniversary .. you deserve all the success you receive.. Your magazine is so well designed with wonderful articles brimming with inspiration. Crop and Create events are the best — so well organized with the best teachers in the industry. Here’s to 10 more years of success. I would love to hear what each of these companies do behind the scenes to make their employees feel special. 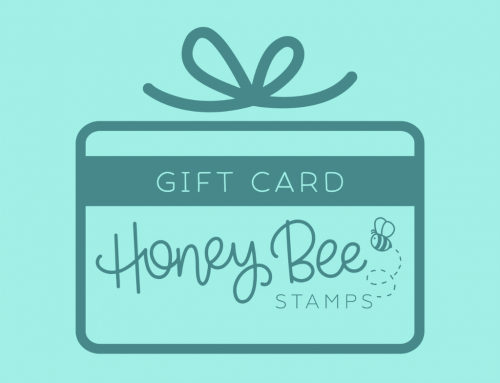 As an Independent Stampin’ Up! Demonstrator, I’ll be particularly anxious to see the photos from our prized head office. Congratulations on this amazing milestone and I wish you many more creative years! P.S. I would love to receive some happy mail! Congrats on such an awesome milestone!! Here’s to 100 more!! Congratulations on your 10 year anniversary!!! What a momentous milestone! It sounds like you have an amazing trip lined up! How exciting to visit with all those outstanding companies! I can’t wait to see all the pictures you take and to read the stories of your trip! Thank you for sharing how SCT got its start. It’s incredible that one conversation led to the fantastic magazine, website and blog that we know today! You must be so proud of all that you and your team have accomplished these past 10 years and be looking forward to what the next 10 will bring. I will be eagerly anticipating what I know will be fun and fabulous opportunities to celebrate your special anniversary over the coming year! Have a safe trip and enjoy yourself! Congratulations on 10 years! I really enjoy your magazine. Each time I get my copy, I sit down and read it cover to cover and then use it for reference! Thank you all for all of your hard work in providing this awesome magazine. It is very much appreciated! Congratulations on reaching your 10 year milestone. I have been a fan from the start. I log in to your blog each and every day to see what’s new and look forward to your magazine each quarter. Can’t wait to see what you do in the next 10 years!! Congratulations and thank you for going on the journey! What an amazing story! I admire what you’ve done & that you’re still going strong! Big congrats on the first 10 yrs & here’s to many more! My goal is to become one of your designers. Have a great trip! My Husband and I started our own business 18 years ago in the travel industry so I can certainly relate to all you have been through – and moving from Africa to Canada 8 years ago and restarting all again it certainly has been challenging, but we are still here. Congratulations on achieving this milestone. Your magazine is very inspirational.. This week has been a very emotional week for me to say the least so I could really do with some happy mail right now. Enjoy your trip to Utah look forward to seeing the pictures soon. What a wonderful story. Enjoy your time in Utah! WOW!!! 10 years, I can’t believe that SCT is 10. I love the magazine and all the info, new techniques, products etc. Great job, keep up the good work and all the best for the next 10 years. I check your blog each day to see what news you have for us. Congratulations!! Congratulations Catherine! Ten years is quite a milestone to reach. Thank you for all that you do for this industry, I love your magazine and I hope you have continued success. Cheers to 10 years and 100 more! Celebrate in style! Congratulations on 10 years! I love your magazine. Have a wonderful trip. Congratulations Catherine and everyone at SCT for ten great years! Thanks for taking the risk to start this business venture. I’ve been a reader and big fan of SCT since day one and I can’t wait to see what the next ten years bring. Have a great time in Utah. I didn’t realize so many companies are in Utah. I may have to go there some day! Happy 10th Anniversary. Catherine, I really appreciate all of the work that you and the wonderful team at SCT do to bring us the latest industry news. Sharing all of the amazing new products that you have searched out. Best wishes for continued success and I can’t wait to see what you have in store for us in the future. Congratulations on your 10 years. Love your magazine, hope you have many more years. It’s so nice to see all the great comments! You definitely deserve all the congratulations and praise! I thought of a question for some of the companies if you get a chance. What is their favorite product and/or of which product are they the most proud? Thanks also for thinking of us while you’re away and for the chance to win some happy mail. It’s always so wonderful to get a special surprise in the mail! Catherine, you and your team, including your family, have accomplished something amazing! Congratulations, it is truly remarkeable. As far as what to feature on your blog, I’m always interested in how companies figure out what will be a trend. I don’t know if this is possible for people to identify – maybe they jusst “know” and I don’t. Just a thought! Enjoy your trip. Jeannine H.
Happy 10th and may you have many more great ideas & inspiration to come! Here’s hoping to find “happy mail” in my brand new mailbox! Thank you for being so brave 10 years ago! I really enjoy having access to SCT all the way from Australia! A decade in the making! Congratulations on such an inspirational story. I enjoy reading your magazine, learning new techniques,reading about new trends and following great designers from across Canada. I also LOVE your Crop & Create events. Though I have only been to Moncton, that one annual event has provided me with so much inspiration! Thank you for all you do, Catherine. You are much appreciated! Can’t wait to see you at Crop & Create Moncton 2016! Congratulations and happy anniversary! Enjoy your week of visits!! Happy 10 years. Thank you for delivering a paper magazine for all us paper lovers. Congratulations on 10 years!! Looking forward to being part of the next 10!! Thank you for all you do. You’re amazing! Love your staff, family and all the events! Huge congratulations to you and all of your team and their families! What a ride it has been from the sounds of it! So glad your publication is so successful and wishing you 10 more years of success!!! Have a great week travelling and visiting with staff of some of the best scrapbooking companies! It is always amazing what a conversation at the dinner table can create. My LSS closed down and reading your magazine is so incredibly inspiring. Thank you for providing all the fun techniques, the newest products (there is always space in my tiny craft room) and the great pictures. SO EXCITED that you are SO CLOSE to celebrating 10 years – WE APPRECIATE EACH and EVERY ONE of them!!! Congratulations on your tenth anniversary. I luv this magazine! I look forward to following your behind the scenes look at so many of these wonderful companies. Congrats on your 10 years! Congrats on 10 years. It is so good to have a Canadian scrapbooking magazine to rely on. Looking forward to the upcoming year. And I’ve been around enjoying every minute of it Catherine! Congrats on your 10 year anniversary! Enjoy your time in Utah – I will be there in early November for a Close To My Heart event – and I’m keeping my fingers crossed that there might be a warehouse sale happening at Echo Park 😉 Let me know if you find any really cool places to visit in the Salt Lake City area! Big hugs and congrats on 10 amazing years! I started scrapbooking at the same time as the unveiling of SCT. I have each and every issue – in print – because I like the feel of the paper and the smell of the ink when it is in my hands. It was the first scrapbooking “book” I ever owned and is often looked at when I need tips or inspiration. Congratulations on ten fabulous years and I can’t wait to see what Catherine comes up with in the next ten! Enjoy your trip and let all of your designers and suppliers (and yourself) know how much we value what they do. Awesome!!! Just so wonderful!! I’d love to see some behind-the-scenes – maybe a few videos, periscopes, and I’d love to gain insight into how the brands I love prepare for future releases, where they get inspiration, how they monitor trends, etc. Congratulations to you Catherine (and to your Staff and your Families)! So since you are headed to Utah, it would be lovely if you could show us the U.S. Production Facilities for these Companies. I (like many of your Readers) like to purchase my Crafting Products made directly in the U.S. I especially go out of my way to purchase, and support, a Crafting Company who produces their Products in the U.S. (not just having their Headquarters in the U.S. is enough for me). I obviously make an exception, by reading your Magazine and Blog, for our Canadian Neighbor’s too. Now if only we could get you all to hold your Crop & Create’s in the U.S. too? Just think of how many more Croppers you would reach here in the U.S.! You could hold a 10 year World Tour? Best wishes on a successful 10 years and hoping for many more. I have followed SCT for most of those years and enjoy your magazine, videos, prizes and so much more. Keep on doing what you are doing cause it is working. Have a funfilled week. Congrats on 10 years! I can’t wait to see behind the scenes pics of these companies. Congrats on your 10 year anniversary! I love everything about your magazine– wish it arrived in my mailbox more often! Congratulations on 10 years, that is amazing! I have often wondered how all the papercraft companies (scrapbook & cards) manage not duplicating each other. I’m sure many come up with new ideas so is it the first one to put it on the market that gets the rights to that product? So much inspiration is amazing! CONGRATULATIONS! I love hearing the backstory on companies that I do business with and this is such a wonderful story! Isn’t it amazing how a simple conversation can become such a magical, educational and inspiring thing? I for one am so thankful that this conversation happened! I read your blog daily and am always excited to see what new and inspiring things are on their way to us! Congrats! Thank you for all of the inspiration! Congratulations on your 10 year anniversary! Your magazine always puts a smile on my face when it arrives in my mailbox! It is such a high quality magazine and never fails to inspire me – thank you!! Hope you have a wonderful time in Utah and can’t wait to hear about it. And since you asked I would LOVE to see a crop & create event in Southern California!! Happy 10 years!!! Looking forward to what the next 10 years bring. Congratulations Catherine!! I love this story!! Keep doing what you’re doing!! what a great magazine, that is clearly visionary as you are one the of last standing. I love so many things about the magazine. A few friends and I were at the Scrapshotz crop in Calgary and received a copy of your magazine. we all shared what the first thing we do is when we get a copy of the magazine. Mine was go directly to the easy, detailed, expert article to see which layout I like the best. Often it is not the expert! Thank you for filling a void in the industry and helping to keep my favourite craft alive! I can’t wait for crop and create here in Calgary! so very excited. Wow…love this! 10 year so! Awesome! Here is to many , many more successful years!! Love the magazine, the blog, everything! Love your magazine,I need the print copy in my hands. So awesome that you have reached this milestone! I really enjoy your blog and magazine. Congratulations! I am thrilled for you Catherine, and your crew at Scrapbook and Cards Today! A huge congratulations on your 10years of success!! I have been honoured to meet you, be an avid reader of your beautiful magazine, and attend the amazing Crop and Creates in Markham! I loved reading your story about the creation of your company, what a whirlwind it must have been for you? Hard work does pay off!! Thank you to you, and your family, for the sacrifices I know you make when owning your own business. You have made me and my girls very, very happy. I’m so looking forward to the next stage in your adventure!! Wishing you many, many more years of success! 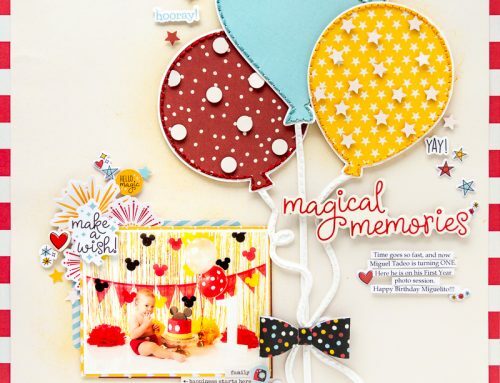 Congratulations Catherine for 10 years of a wonderful scrapbooking magazine. I am amazed at the work that you, your family and all your friends and associates put in the publishing AND the promotion of our wonderful hobby. I am screaming (not my name but) FELICITATIONS, which is French for CONGRATULATIONS. I feel it needs to be said in many languages. Please have fun in Utah in the next few days. Sigh!!! I wish I was there with you. So, share as many pictures and experiences that you can with us. Most of all, have a great time. Congratulations on your 10th anniversary! I am such a fan! I love the blog, magazines, etc. You rock SCT! All the best to you – enjoy the spot light on such a wonderful magazine! I still consider myself new to scrapbooking – 3 years now, and so very happy to be scrapping. Your magazine has been my way of finding what is out there for companies, retreats or events and of course such great inspiration and sharing of ideas. Each SCT that comes (of course with the wonderful kit) in the “pizza” box is like xmas. Even my husband likes to see what is packed in the box – always so full. Wishing you great success, a thanks to your great sponsors and I can’t wait to see what is in store for the next 10 years! Thank you, you’re the best!! Congratulations! I love your magazine so much! I’ve enjoyed the SCT magazine and Crop & Create Winnipeg for a number of years and am very thankful both continue. Thanks for all you do and happy 10th anniversary! Congrats!! What a great story. Happy 10 Years! Congrats on 10 years! Love your story! Keep on keeping on!! Thanks for all you do for us crafters! Hope to have you part of our lives for at least another ten years! Congratulations on 10 years and the creation of a fabulous, fun, innovative, instructive and fun magazine that is the best in the industry. It’s amazing what can result from a simple discussion at the dinner table. Your magazine, blog and FB pages are so fun, but I think the best part is your interaction with crafters. Not only have you invited us into your world, you’ve made us part of the SCT family. Thanks for all the fun and broadening our crafting horizons. Happy 10th! What an exciting and adventurous story. I would especially like to say thanks for keeping a print edition. 🙂 While I do log on and surf the net as well, nothing beats grabbing a tea, opening up that big white envelope and being inspired! Everytime I come here I’m reminded by how freaking fantastic it is that we can see this mag online for free! FREE!! It continues to astonish me. And all the companies that support you is fantastic too. Congratulations on your 10th anniversary! Yours is the first blog I read each day and I have purchased a kit and always read your magazine. Thanks for all the inspiration and look forward to your posts on the coming week. Thank you for all you do ….. I love your Blog and I love your magazine. I just wished you had some of your fabulous weekends in the states!! Congratulations! What an awesome milestone. I’ve been a fan for only a few years, but you guys have such a class organization that I’ll be around as long as you are! Congrats! Looking forward to the tours! A big congrats on your 10 years! Love you guys! Happy 10 years! Can’t wait for the next 10!!! Congrats on 10 years. Love your nlog. I am from Pennsylvania. Congratulations on reaching the 10 year mark! I’m just sorry that I didn’t find you sooner!! 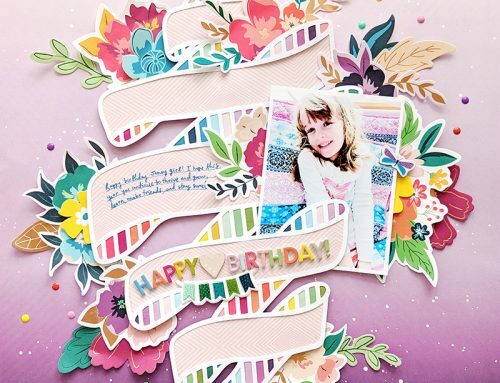 With the demise of so many scrapbooking magazines over the last few years, it is great to see you succeeding and growing! Leave it to Canada to understand our ongoing needs!! Congratulations! So wish you could pack me in your suitcase and take me with you! Congratulations on 10 years! I really loved reading the history of your magazine, and it is amazing and wonderful how it grew! Thank you for sharing your story.